New York Gov. Andrew Cuomo's move to bar health plans from participating in Medicaid if they withdraw from the state's health insurance marketplace are "disturbing" and may not comply with insurers' Medicaid contracts, said Paul Macielak, chief executive of the New York Health Plan Association. 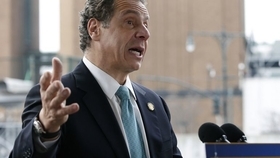 Cuomo said Monday that any plan leaving the New York State of Health marketplace would be prohibited from participating in Medicaid, Child Health Plus and the Essential Plan. He advised the Department of Financial Services to create the regulations to implement his directive. But Macielak said the policy may not be enforceable because the provision is not part of existing managed-care contracts that run through 2019. Any amendments to those contracts must also be approved by the Centers for Medicare and Medicaid Services. Even as insurer withdrawals in other parts of the country have left consumers with limited options for health insurance, New York's marketplace has retained its plans. City residents had nine plans to choose from during the most recent enrollment period, which ended Jan. 31. Cuomo also advised DFS to create emergency regulations that would mandate insurers to cover the 10 essential benefits outlined in the Affordable Care Act and prohibit discrimination against customers with preexisting conditions. The Greater New York Hospital Association, the Healthcare Association of New York State, the Medical Society of the State of New York and health care union 1199 SEIU all issued statements supporting the governor. Sherry Glied, a health policy expert and dean of NYU's Wagner Graduate School of Public Service, said the move is "as much a matter of signaling New York's intention to protect its marketplace as it is anything else." The state is extending the buying power of its Medicaid program, which has more than 6 million enrollees, to its much smaller ACA marketplace for private insurance, which has 243,000 customers, she said. "It's a pretty big cudgel to hold out there," she said. Macielak said the new Medicaid policy would be punitive at a time when some insurers are losing money. EmblemHealth, for instance, managed a profit by selling one of its office buildings but lost $276.5 million from its insurance business. Other local plans that offer both Medicaid and plans on the state health insurance marketplace include Empire BlueCross BlueShield, Fidelis Care, Healthfirst, MetroPlus and UnitedHealthcare. For a plan like Oscar, which doesn't offer Medicaid coverage, the new rule wouldn't prevent it from leaving the market. Insurers submitted multiple proposals for 2018 premiums to the state Department of Financial Services last month, with different applications accounting for various scenarios, such as the Trump administration's acting to halt cost-sharing-reduction payments from the federal government. The department has yet to make the rate applications public. A DFS spokesman said Monday the department is "still reviewing proposed rates." Through the prior approval process, DFS can lower insurers' rate increases, but plans then had the option to pull out of the marketplace rather than accept the lower rate. For insurers with a large number of Medicaid beneficiaries, that's no longer an option. "It was always an option to withdraw from that product," Macielak said. "This proposal looks to lock people in." This​ article,​ titled​ "Health​ insurers​ question​ legality​ of​ Cuomo's​ new​ Medicaid​ policy,"​ originally​ appeared​ in​ Crain's​ New​ York​ Business.